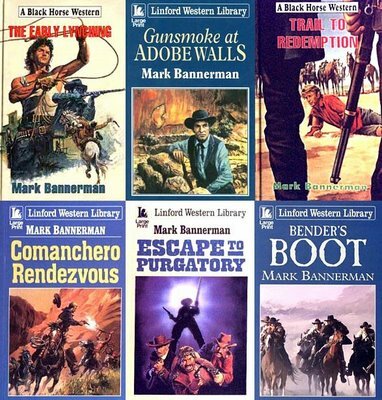 Mark Bannerman is the pseudonym of Anthony C Lewing who was born at Colchester, Essex. He was educated at Kings College School, Wimbledon, and served for 35 years in the British Army. Now retired, he writes full time and teaches creative writing to adult students. He lives with his French-born wife Françoise in Ash Vale, Surrey, and has two grown-up children. 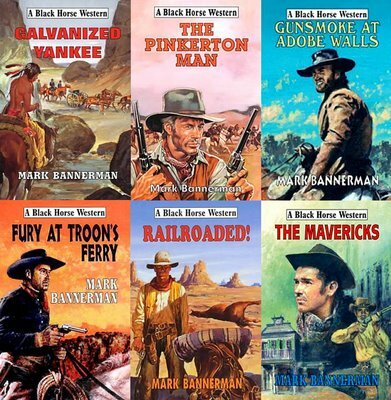 Mark Bannerman has had over thirty novels published. He's traveled the Old West many times soaking up the atmosphere. He has toured indian stongholds and army forts, and has visited the graves of Wild Bill Hickok, Calamity Jane, Red Cloud, Captain Jack and many more. Most of his books have real history as their background. He says he thinks up many of his plots while walking his dog Timothy on the Ash Ranges. 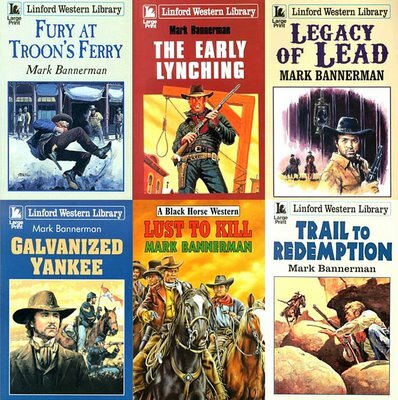 "The quality of a western story is a reflection of the author's skill. It should be as interesting and intelligent as a story set in any other locality. A good writer will avoid the clichés and stereo-typed characters of old films and write about real life situations where difficulties arise from the people themselves or are inflicted by the harsh environment." As a complete contrast, Mark has also written a saga entitled the Cornish Woman. This features Rosena Bray who is orphaned by shipwreck in 1890 and is brought up by Cornish fisher-folk. She falls in love with a pious Welshman, but all is not as it seems, the Great War intervenes and she becomes trapped in a whirlpool of murder and duplicity. Mark has also had some three hundred short stories published in men's and women's magazines, crime anthologies, children's publications, newspapers and so on. Many have been translated into foreign languages. His books can be bought from Amazon, are available from public libraries and also as e-books on Kindle.